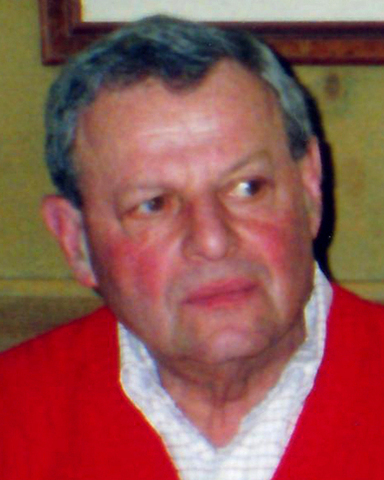 Sidney Abrams, 88, of Heritage Village, husband of Muriel A. (Albert) Abrams died, Tuesday, July 10, at the Lutheran Home of Southbury. Mr. Abrams was born November 21, 1923 in McKeesport, Pennsylvania, son of the late Benjamin and Esther (Abeloff) Abrams. He was raised in the Bronx, New York where he attended Dewitt Clinton High School and took classes at City College of New York, and graduated from Casey Jones Academy of Aeronautics. In 1942, Mr. Abrams volunteered to serve his country in the United States Army Air Corps during World War Two. As a crew chief he was stationed in Hawaii, Okinawa, Angaur and in the Palau Islands of Western Carolines. He served with the 99th Bomb Squadron, 494th Bomb Group, a wing of the Seventh Air Corps. He received an honorable discharge in 1946 with the rank of Staff Sergeant and earned several area medals. After the War he joined his father in the trucking business and helped form Abrams Freight Corp. In 1963 he and his family moved to West Haven where he and his wife founded The Recreation Showroom, a retail operation dealing with pool tables and other game room furnishings. Now known as Encore Billiards and Game Room, it has remained a family business in Milford, CT. In later years Mr. Abrams and his wife moved to Heritage Village, Southbury. Mr. Abrams was a lifelong airplane hobbyist; he built many ready to fly planes which were appropriately displayed. Besides his wife whom he married August 12, 1950, he is survived by 2 sons, Lawrence “Larry” and his wife Catherine Abrams of Orange, Edward and his wife Lorraine “Lorrie” Abrams of Roxbury, a daughter, Lynne Abrams Cornwall and her husband David Cornwall of Roxbury, 3 grandchildren, Jennifer and her husband Tye Schlegmilch, Michael Abrams of NYC, Jayden Cornwall of Roxbury, 4 great grandchildren, and 2 nieces, Linda of NJ, Barbara of LINY. He was predeceased by a sister, Dorothy Seif. 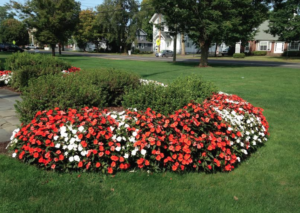 Graveside services will be held in the Roxbury Cemetery on Thursday July 12 at 3:00 p.m. The Southbury Funeral Home of Munson-Lovetere, 235 Main Street North is in charge of arrangements.